So refreshing to deal with a company that does what it says its going to do. Wonderful service from beginning to end. I WILL BE CALLING MONDAY 4/22 JASONNFIXED MY LED LIGHTS O.K . MY WATER DISPENSER WAS WORKING NOW IT DOES NOT. The best service person I have ever had. Rafaelito, was a great service tech that took care of our needs. He was extremely personable and very understanding to our problem. He explained everything in detail and made us aware of what we need to do in the future to avoid having the same problem occur. Honesty and good work ethic are to find these days but Rafaelito, was representative of both. Highly recommended for service needs. Thank you Flamingo and Rafaelito. He showed up on time, explained the problem, ordered a new part and fixed it. 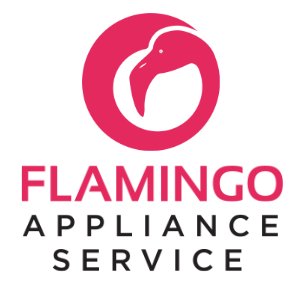 Whirlpool contacted FLAMINGO to repair my ice maker. 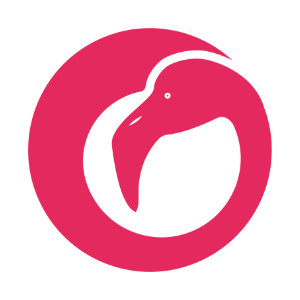 FLAMINGO called immediately with a day and time frame for the tech's arrival. Tech phoned on the repair day, and gave a time for arrival, which he met. Tech was cheerful, polite, knowledgeable about my frig, and did the repair efficiently & quickly. Both Whirlpool & Flamingo are fortunate to have a young man of the character & caliber of Rafael Palazzolo to represent their company, quality assurance & care. He was very helpful and polite. My service technician, Rafaelito Palazzolo, did an amazing job, was very thorough and professional. He made sure my freezer was in good working order and that all work was done in a timely fashion. Service Tech had great customer service! I was extremely pleased with this company. The technician arrived well within the specified window and was very professional and knowledgeable. He was patient and addressed my concerns. Great service, warranty work no payment required. Rafael did a great job! Perfect service. Great service! The technician was very professional! DISHWASHER WHIRLPOOL WDT750SAHZ0 Inspected unit found couple pieces in the rack with rusty Instruct to the customer by the phone costmectics parts are cover only 30 days .. checked all unit and all operation is fine..
REFRIGERATOR KITCHENAID KRMF706EBS01 "Inspected unit per customer wasn't any light not display and not cooling main control resereted and put all unit in the test mode not error codes all unit tested ok./..,.,. ;"
REFRIGERATOR WHIRLPOOL WRX735SDHZ "inspected unit, found the icemaker line was frozen over still from previous visit, customer has a RO system was trying to use a filter in the fridge which cut his pressure down, took out the filter and put the bypass cap in there, he has mre pressure now and cleared out the line.. unit tested okay"
REFRIGERATOR WHIRLPOOL WRT311FZDB01 "Inspectting unit found units fill tube frozen , and leaked water all over FZ and FF section , cleared ice and suspect water was off and on at house and froze fill tube due to new house being built , tested water valve with no ice maker and no leaks seen in FZ, advised Customer to come back tomorrow to check on unit,"
WASHER MAYTAG MVWC465HW2 "Inspected unit found error code spin and done , also found unit out of calibration and main control recalibrated and all unit tested ok.."
MICROWAVE OTR MAYTAG MMV4206FZ2 Removed microwave and secured bracket to wall. Anchored in 4 spots to ensure proper hold. Re-hung microwave and ensured proper function. MICROWAVE OTR MAYTAG MMV4206FZ2 "(SEE SD PICS FOR FURTHER DETAIL) inspected unit, found the units bottom bracket is not secured, no screws are visable and the left side is unsecured, also the right wrap is not tucked into the mircowave correctly, causing the sound.. because of this issue and its out of my hands, will forward this to MT rob for further insturctuions to see what to do from here; saved tckt"
REFRIGERATOR KITCHENAID KRMF706ESS01 "Inspected unit found condenser has a big leak..also unit smell like burning maybe is a contaminet system i can see the leak from the condenser... also needs two men on return,, unit has very strong smell reported to lowes; ordrng 1 W10874835 (valve) and 1 WPW10626970 (suction tube) and 1 W10758093 (condenser) and 2 2men (2men)s"
REFRIGERATOR WHIRLPOOL KRFF507HPS00 "inspected unit, found the top shelf of the crispers was not in the right spot allowing the shelfs not to close, fixed it and now the drawers close correctly"
REFRIGERATOR WHIRLPOOL KRSF505EWH01 "Door damaged , re order; ordrng 1 LW10755650 (FZ door WH)"
REFRIGERATOR JENN-AIR JFX2897DRM02 "installed new adhesive around the frame of the freezer, unit tested okay"
WASHER MAYTAG MVWX655DW0 installed all parts tested the unti and everything checks out fine. SXS 22'' WHIRLPOOL KRSC500ESS01 installed parts as advised to do from techline. everything checks out well. REFRIGERATOR WHIRLPOOL WRF555SDHW01 customer complaint is that the unit is vibrating. i found that the grille was loose. i installed permagum around the grille to prevent the vibration. also releved the legs so that the condenser doesnt making noise. REFRIGERATOR WHIRLPOOL WRX735SDBM00 customer complaint is that the unit is running too long. i ran the unit through diagnostic and everything checks out fine. REFRIGERATOR WHIRLPOOL MFT2776FEZ00 "installed new parts and defrosted the FF evap,unit tested okay"
OVEN JENN-AIR JJW2430DP02 PLEASE USE AUTHO# JJUMMJUNL2 Uinstalled oven. Checked in coming power at harness and found only 120V . Reinstalled and secure BI oven. Customer needs to get an electrician to repair power source to oven. DISHWASHER JENN-AIR JDTS244GS0 Repaired electrical connections at high voltage electrical box. REFRIGERATOR WHIRLPOOL WRS325FDAW01 "installed new lights, unit tested okay"
REFRIGERATOR KITCHENAID KSC24C8EYY02 customer complaint is that the unit isleaking water on the floor. i found that the drain was clogged on the fresh food side. i clear and flushed out the drain tested the drain by pouring hot water down the drain. REFRIGERATOR WHIRLPOOL WRF550CDHZ01 "inspected unit, found the water line in the dispesner is leaking and not holding water after you run it, will need a new tube; ordrng 1 W10275942 (tube-water)"
REFRIGERATOR WHIRLPOOL WRX986SIHZ00 "inspected unit, found the units has nothing wrong at this time, customer explained how there was water on the ground and making a weird noise, found nothing at this time but informed customer to call if anything arises"
REFRIGERATOR WHIRLPOOL WRS555SIHZ00 "new door is dented on the side, will need to order a new one; ordrng 1 lw11026428 (door)"